Kensal Green (All Souls') Cemetery contains burials of both wars. 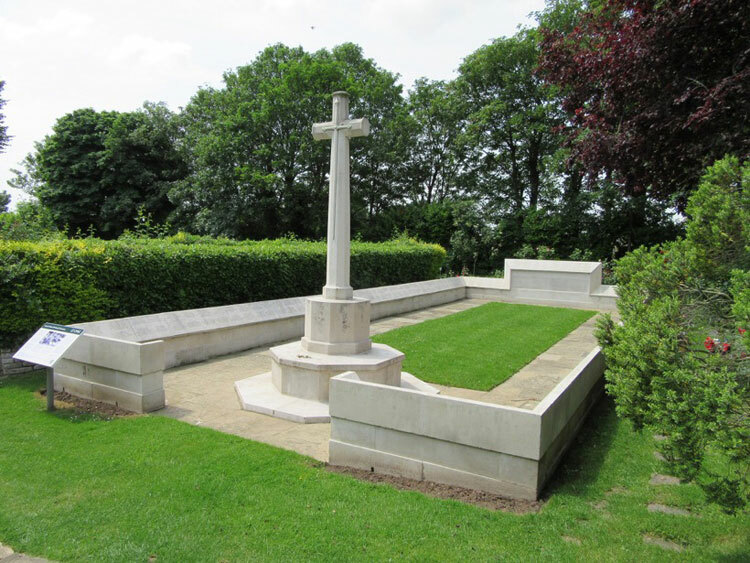 Half of the 473 First World War graves form a plot in the south-west section of the cemetery, the rest form small groups or are scattered throughout the cemetery. All of the 51 Second World War graves are scattered. There are also 2 non war burials here. A screen wall in the First World War plot (Sect. 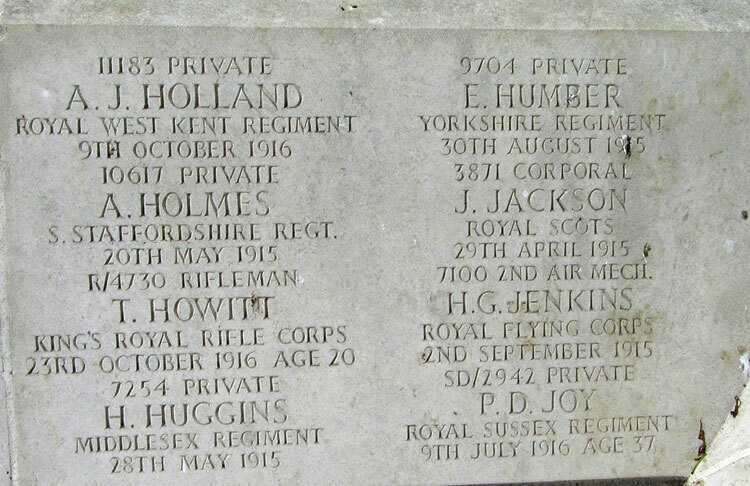 213) records the names of casualties of both wars whose graves could not be individually marked. Also recorded on the wall are the names of five servicemen whose remains were cremated in Kensal Green Crematorium. Two soldiers who served in the Yorkshire Regiment are buried in this cemetery. 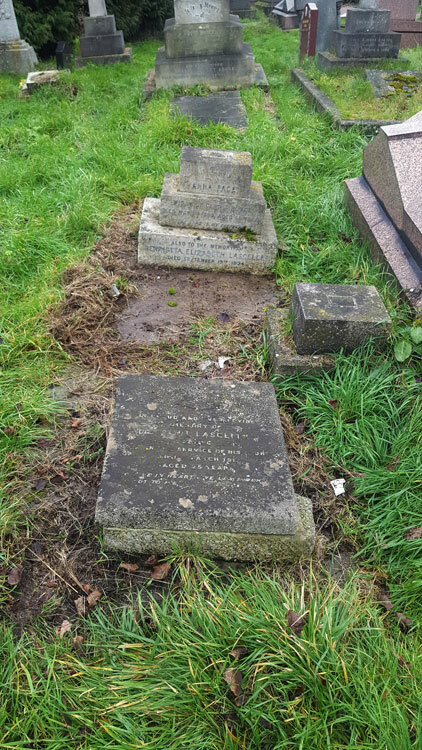 We are very grateful to Wayne Bywater (<waynetyke123@aol.com>) for the photos of the headstone of the Yorkshire Regiment Officer buried in the cemetery. Private Ernest Humber. 9704. Depot Yorkshire Regiment, but had embarked with the 2nd Battalion for service overseas in October 1914. Died at home 30 August 1915. Born Wandsworth, Enlisted London, Resided Southgate (N). (From the "Register of Soldiers' Effects" Ernest Humber died of tuberculosis in the Brompton Hospital). 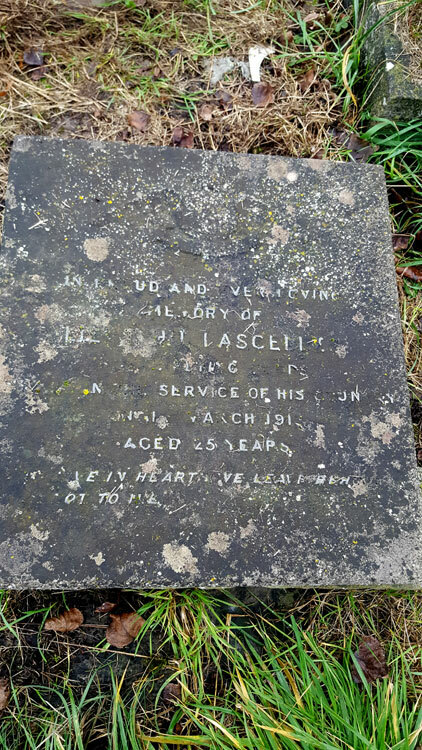 2nd Lieutenant Harold Leslie Lascelles. RFC, formerly the Yorkshire Regiment. Killed 11 March 1917. "Harold Lascelles joined the Inns of Court Officer Training Corps on January 14th 1915 and was commissioned into the Yorkshire Regiment on July 23rd 1915. After transferring to the Royal Flying Corps, Lt Lascelles was with No 42 Reserve Squadron at West Byfleet in Surrey when he was killed in an accident flying an RE8 on March 11th 1917." Photo : Wayne Bywater (<waynetyke123@aol.com>). 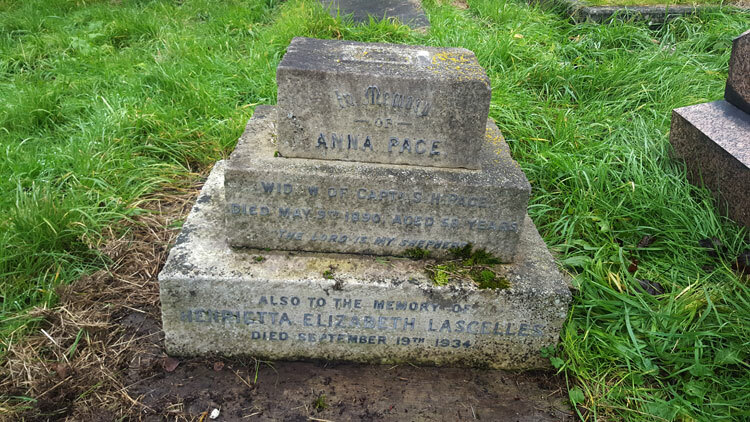 The Lascelles Family Grave in which Lieutenant Lascelles mother, Henrietta, is also buried.